First published in 2012, this Annual has raised £785 for the benefit of the Town Museum, the Victoria Pleasure Gardens, Combat Stress and the Friends of Tewkesbury Hospital. 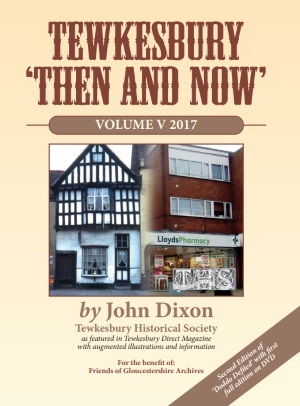 It is a select anthology of monthly articles, written on historical topics for Tewkesbury Direct. This volume has been expanded to 36 pages and offers a PDF on DVD of the original Doddo Defiled. B. The Planners’ Cunning Plan! K. 90 High Street: The ‘Defiled’ Doddo!